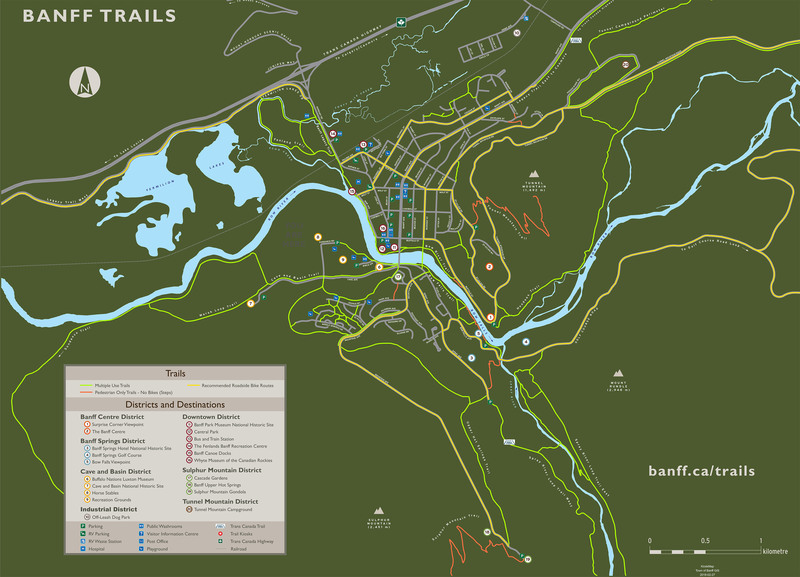 Find your way around the Town of Banff with our frequently requested maps. All maps are PDFs. A geographic information system (GIS) integrates hardware, software, and data for capturing, managing, analyzing, and displaying all forms of geographically referenced information. GIS allows us to view, understand, question, interpret, and visualize data in many ways that reveal relationships, patterns, and trends in the form of maps, globes, reports, and charts. Town of Banff GIS creates and maintains over 200 different layers of geographic information and many of these data layers are available to the public through banffmaps.ca. Many Town of Banff maps are available free of charge. If you would like a printed version, they can be purchased from the GIS department.